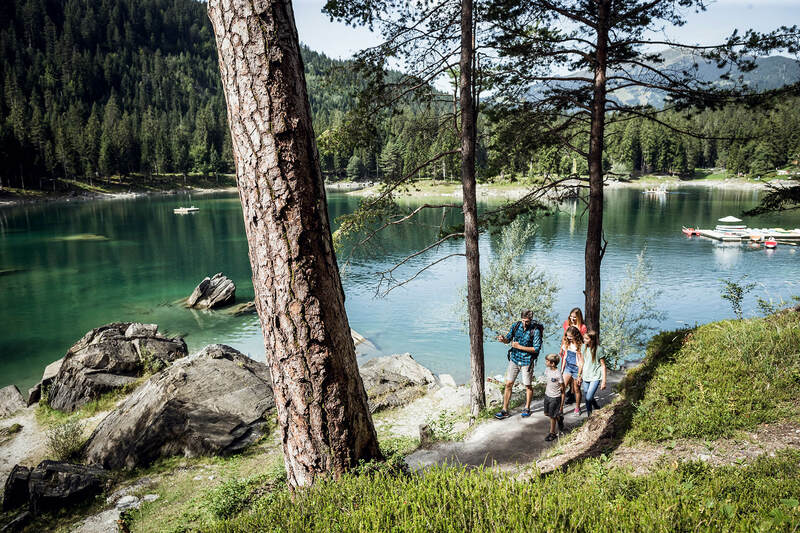 By bike you can reach us from Staderas, Flims Waldhaus Spielplatz or Flims Waldhaus Post on marked forest paths through the Flimserwald. We recommend that pedestrians start in Flims Waldhaus and enjoy a leisurely walk through the forest. The path is easy to follow with strollers and wheelchairs. You can also shorten the route by taking a part by funicular (free of charge). The lift runs from 08.00 AM to 05.00 PM. 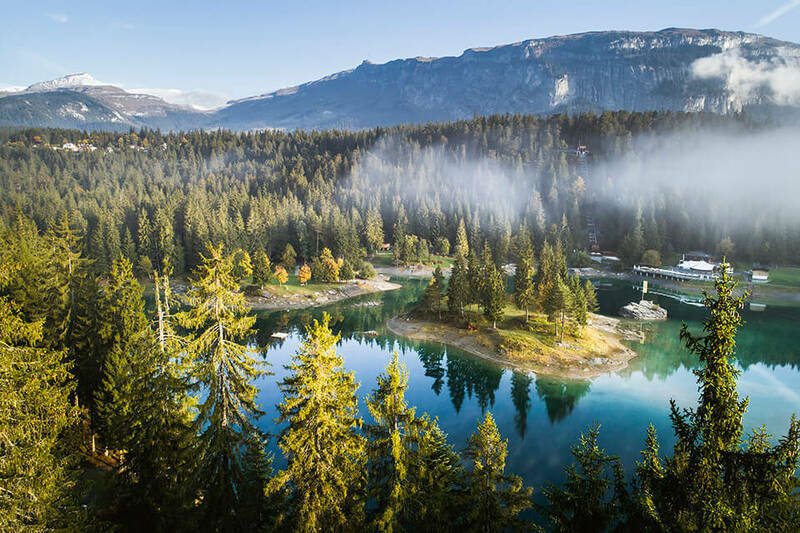 Get off at the post bus stop “Flims Waldhaus Caumasee”. After a 15 minute walk the funicular awaits you, or you take another 15 minutes and walk the complete way down to Lake Cauma. The footpath is suitable for strollers and wheelchairs. The lift runs from 08.00 AM to 05.00 PM. 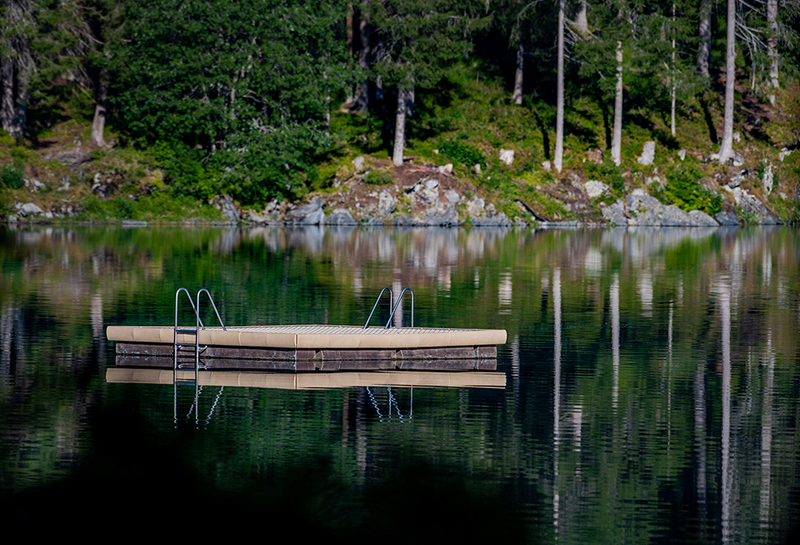 Paid parking spaces are available in Flims Waldhaus. A 10 minute walk takes you to the funicular, which takes you directly to the entrance of the lake and back up again. Of course you can also walk the whole way to the Lake Cauma (duration approx. 30 minutes). If the parking spaces in Flims Waldhaus are occupied, additional spaces are available in Flims Dorf near the event hall. The walking distance to the parking slots in Flims Waldhaus is about 15 minutes.